It rises to a height of about 810 feet from sea level. Adjacent to Winstead Hill, on the east side of Columbia Pike is Breezy Hill. By standing atop Winstead Hill, in the observation post, one can really appreciate the view of the Harpeth Valley as it spreads out north of the hill. 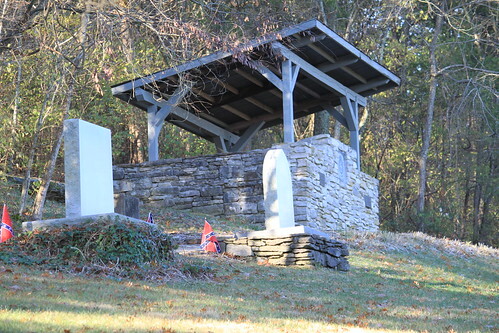 This is the exact spot that CSA Commanding General of the Army of Tennessee, John Bell Hood, stood to reconnoiter (approx 1pm local time) the position of the Federal Army under Gen John M. Schofield, whose army was entrenched on the outskirts of Franklin on the afternoon of November 30, 1864. Early in the morning hours of Nov 30th the entire Federal army (roughly 23,000 men) escaped from the grasps of Hood’s sleeping Confederate army in Spring Hill. Passing with a couple hundred yards of some Confederate campfires, the entire Federal army evacuated their position at Spring Hill starting around midnight, and made the twelve mile march into Franklin. The first blueclads arrived in Franklin, around the Carter property, probably around 4am. Finding the local bridges across the Harpeth partially burnt and mostly destroyed, the Federal army was trapped at worst, and stuck at best. It would take hours to reconstruct the bridges so the army could pass and make its way to Nashville to join the garrison of another 11,000 Federals at Fort Negley in Nashville. While the pioneer brigade worked on the bridges, the rest of the Federals began constructing and reinforcing breastworks and defensive obstructions just in case Hood would attack in Franklin. The breastworks would span basically east-west across the southern tip of Franklin, passing straight through the heart of the Carter farm. When Hood awoke in Spring Hill in the morning of the 30th he was aghast that the entire Federal army had escaped. “Wrathy as a rattlesnake”, Hood took after the Federal trains and units bringing up the rear along the Columbia Pike. 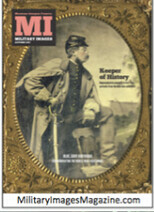 Confederate cavalry clashed with Federal cavalry elements all the way from Spring Hill to Franklin, about twelve miles. 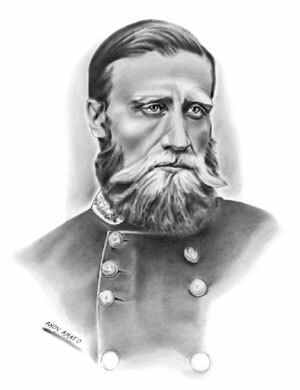 “…the march to Spring Hill, where the Federal retreat was so nearly cut off, a failure for which it was understood General Hood was not to blame, created an enthusiasm for him equal to that entertained for Stonewall Jackson after his extraordinary achievements. The soldiers were full of ardor, and confident of success. They had unbounded faith in General Hood, whom they believed would achieve a victory that would give us Nashville. 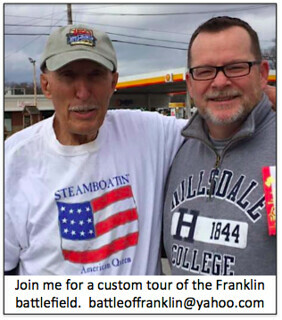 By the time Hood himself reached the southern outskirts of Franklin it was about noon local time. 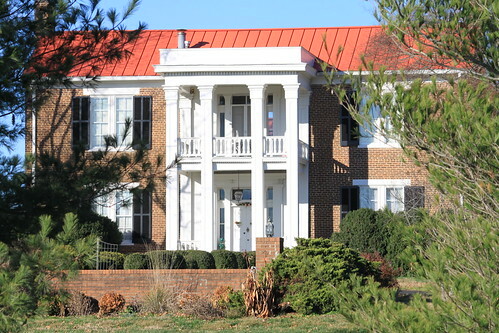 He first met in Harrison House (private residence today) – with several of his subordinates for a war council of sorts – just several hundred yards south or behind Winstead Hill. The Harrison House (below) war council did not go well. 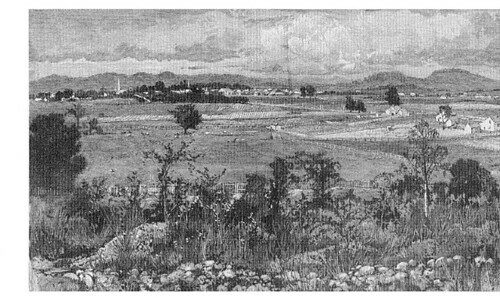 Hood informed his subordinate Corps Division Commanders that he was going to attack Schofield’s Army just two miles away even though they were entrenching behind breastworks and had a strong defensive position strengthened by the lay of the Harpeth River and the Nashville-Decatur Railroad. All or most of Hood’s Corps and Division Commanders thought the proposed mass-assault to be highly risky at best and suicidal at worst. However, it seems that Hood felt he had little choice other than to attack, and Hood was well-known as a fighter, proven at Gettysburg and Chickamauga. 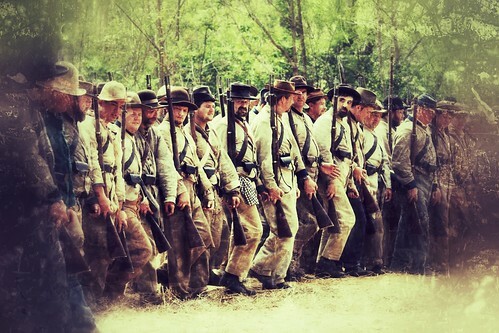 If Hood did not attack then Schofield’s army would easily conjoin with an additional 11,000 Federals at Fort Negley, thus giving the Federals a tremendous advantage in numbers and fortifications in Nashville. If he did attack at Franklin, and were to destroy the Schofield’s army, it would be much easier for Hood to move on to Nashville and take the fight to the Federals there with more evenly matched numbers. Hood took his subordinates atop Winstead Hill and likely stood at the place of a now-present existing observation post as he reconnoitered the land and watched the Federals dig in just 2 miles north around the farm property belonging to Fountain Branch Carter. It was probably between 1-2 pm now. 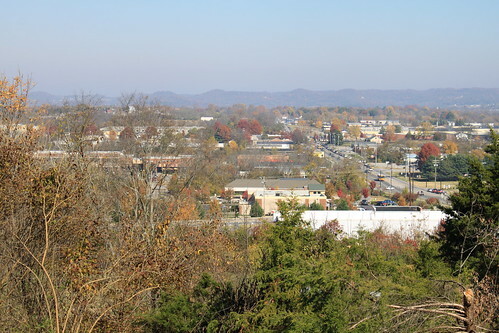 Knowing the sun would set in a couple hours, Hood ordered his Corps/Division Commanders to deploy their troops across the Harpeth Valley in front of Winstead and Breezy Hills, spread out roughly two miles (east-west), with Columbia Pike essentially serving as the center of the deployment. In front two miles was the open and fertile Harpeth Valley, sparsely populated by a handful of residents. The Confederate army was deployed in this pattern. Starting at the Columbia Pike and going east was Stewart’s Corp made up of the respective Divisions (in order laying out west to east) of Cleburne, French, Walthall, and Loring. On the west (left) side of Columbia Pike (going east to west) was Cheatham’s Corps made up of the respective Divisions of Brown, Bate and Chalmers. It took a couple hours for the troops to be ready for the assault, which they were ready roughly by 3:30 pm local time. Hood did not wait for Lee’s Corps nor for most of his artillery to arrive before he formally launched the assault at 4pm. The sun would set in just 30 minutes after the march initiated from Winstead and Breezy Hills. Much of the hottest fighting would be concentrated around the Carter family home (preserved today) and the Carter cotton gin (being reconstructed on original site) from roughly 5 pm tip 9 pm local time. 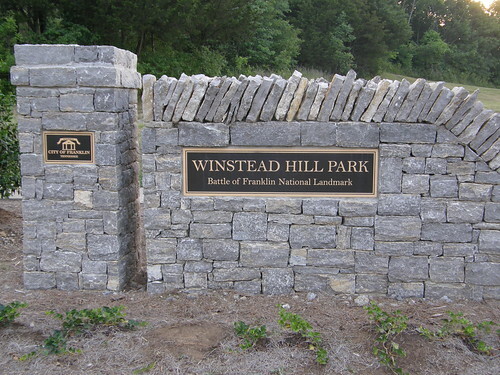 What to look for while at Winstead Hill? You will walk up a several steps and across a rock-laced path to an observation post at the top of Winstead Hill. Your view will be exactly what Hood would have seen at the even of the battle. 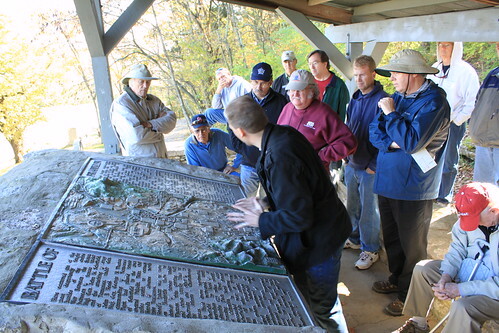 Once you reach the covered post you will find a nicely detailed relief map that will help you get a good layout of the Harpeth Valley before and where the Confederate troops were deployed. Looking north from Winstead Hill, you will see the entire present-day Harpeth Valley out before you. It only requires a little imagination to envision what it looked like in 1864. In front and to the side of the observation post you will pass artillery pieces, State markers (Tennessee and Mississippi), and several other monuments, including several placed to honor some of Hood’s key Confederate Generals along Brigadiers’ Walk. 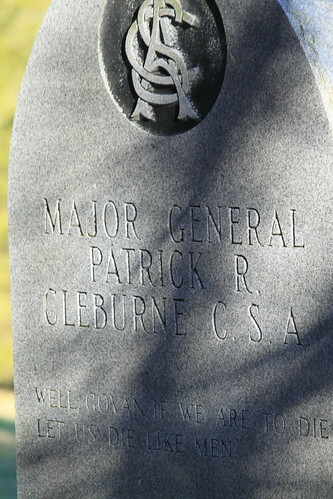 Don’t miss the monument to honor MG Patrick R. Cleburne, who was killed during the Battle of Franklin. Did you see the GPS coords at the very top of the post? Very good job Kraig! Extremely well done! Thank you for this! I will use this to help teach my three sons about our history here. Also, I bet the view from the observation deck is pretty nice about now. I’m already a fan of the virtual tour of your blog. I’m looking forward to see what you write next. Thanks again! What a great idea. I really liked the first stop on our virtual tour. I hope you also have a chance to show us some of the lesser known sites, such as the former sites of the Merrill House, Everbright, both railroad cuts, and the Judge White Home. This is such a help for us that don’t live close to the battlefield. Thank you so much!